So, seriously considering a NG and I'd really like to hear from real world experience. I tried to do a search on this forum as I thought surely much had been discussed here, and only found a few threads. Pros and cons would be appreciated. As for the NG, it gets checks for simplicity, Jet-A, fuel economy, etc. I have read that they are nose heavy so handling may be different? Useful load? Seems speed is a little better but only at 10k plus? And as for Diamond, I have read that many here are not happy with the support provided by the company? I know there have been some bumps in the road but Diamond is under new ownership. And there seem to be no used NGs for sale so people like them or there are just so few delivered? Anyway, I know the forum members are smart, very knowledgeable, and helpful. I would love to hear as to why you might choose one over the other, especially from those that have or do fly both. Speaking of Diamond's customer service, every time I needed to talk to the factory they have been very helpful and I never have had any issues. I have near 2000 hours logged in Diamonds and been very pleased with my planes. That said, I prefer the Lycoming engine as it has an excellent safety record and a proven track record. Also, any A&P can work on it. Thank you, the does make sense if there is an issue. Less down time etc. Thanks for your reply. I was in the same position making a decision last year. I ultimately chose a used DA40 XLS with a Lycoming engine of course. I did a lot of research on the DA40NG, flew one, and thought long and hard. Ultimately for me, the Lycoming had more tick marks in the plus column vs the NG. There’s a long thread on this forum with debate about the engines and slow flight characteristics between the two models. I encourage you to read through them. For me, the Austro engine service needs were a big factor. I called a couple of the maintenance shops close to me and none of them had ever seen or worked on the engine. I didn’t want my plane to be the maintenance shop’s first one. I didn’t want to be in the position of needing a 2-3 hr flight for annuals or maintenance needs. My evaluation of the maintenance needs of the engine left more unknowns than knowns. The Lycoming costs are known, published, and confirmed many times by owners. The sales pitch is that the lower fuel costs and less often oil changes will save money over the Lycoming. As you know, or will soon see is that oil and gas, are one of the lowest cost columns with owning a plane so not a big factor. I personally don’t like the MT prop that the NG requires. I think that the hartzell options for the Lycoming version are better, especially the hartzell composite. That’s just my opinion though. The plane flew great. The engine seemed smooth and easy to operate. It did feel heavier than the Lycoming version but still felt easy to fly and responsive. The interior is different than the Lycoming version. I like the NG interior better than the Lycoming version. The seats are different and the avionics console is black. Personal preferences, but I thought the NG interior felt more luxurious. It mostly comes down to your situation, finances, and preferences. I don’t think you can go too wrong with either one. Both great airplanes. Take a look at this thread. The thread is mostly about the NG vs the XLT (a specific version of the avgas DA-40). I have never owned a Diamond; I have rented some, demoed a few others and almost bought a Diamond twice. The problem with Diamond (outside of the DA-42 Thierlert debacle) has not been customer service. In this respect the factory has always done a good job. Thanks guys, this the feedback I hoped I would get. Any long term (relatively speaking) NG drivers out there? 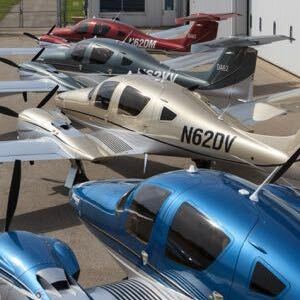 You're not going to find many long-term DA40 NG drivers, at least not in North America, since the plane really wasn't marketed or made more affordable until about 2017. An owner 2 hangars down from me traded in his Lycoming DA40 XLS for a 40NG and loves it. It's so much quieter and smoother than a Lycoming. Slightly off-topic, but I'll second the good responses from Diamond Customer Service. Earlier this week, I sent an email question about installing a Comant VHF/GPS antenna in my 2001 Star to replace the COM1 antenna as part of my ADS-B installation. An Avionics guy was giving me all kinds of grief about it since the Comant is a 4-mounting hole antenna and the old one was a 3-hole one. Well, I got a response from Diamond within a day. They actually have a Work Instruction and parts kit to do it, so I can accomplish it working with my A&P. It was interesting that the Field Service Rep that responded to me was Paul Arakawa, who came out to my hangar in San Antonio in March, 2002 to install door lock cylinders. 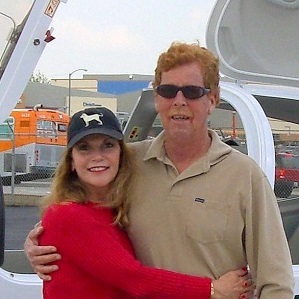 Paul Arakawa took the wing off my plane in 2006 when I first bought it (and had a bad fuel sensor). I've flown three 40NG's as rentals or check outs. I have on eon order for delivery in May-ish time frame. Loved the 40 XLS which I learned to fly on and struggled as well with this decision. 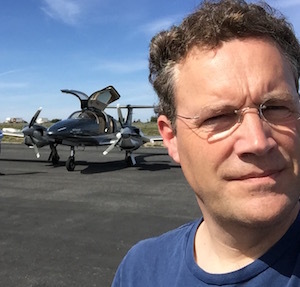 Ultimately I became comfortable with the Austro and love the FADEC simplicity and quieter ride. Easier to start and a nice step up form the XLS I had been renting. I hope to be a happy owner in a few months but we shall see. I found it very fun to fly and didn't really notice the apparently heavier nose loading. But all numbers are basically +10kts, Vso, landing etc, vs the Lycoming ride.